A gated sanctuary located along the banks of Lake Powell, Wild Heron is a private community featuring a central location at the border of Walton and Bay Counties. 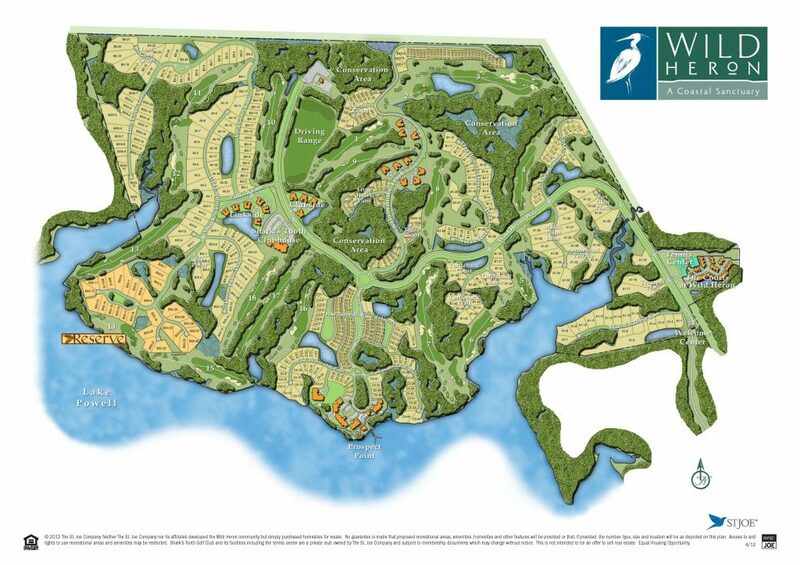 While a variety of home styles are found at Wild Heron, Coastal Craftsmanship is the overarching theme within the 734-acre low density community with coastal preserves that allow for appreciation of the local landscape. Living in Wild Heron offers the unique convenience of being minutes from both Panama City Beach and the South Walton Beaches. Wonderful amenities are available to homeowners including the BoatHouse on Lake Powell, a beautiful community swimming pool and fitness center with state-of-the-art equipment and locker rooms. 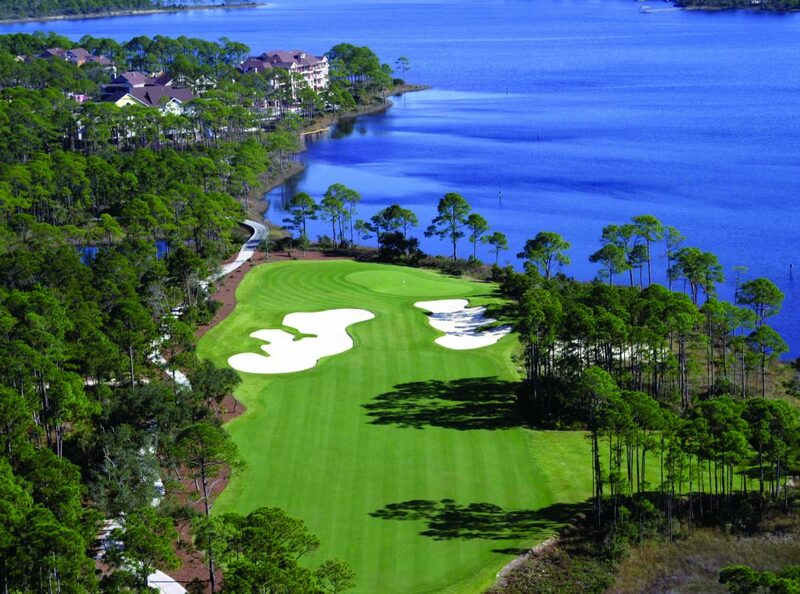 Wild Heron is also home to Shark’s Tooth Golf Club, a premier area private golf club designed by Greg Norman. The expansive course features five fairways that border Lake Powell and wooden cart path bridges that cross over streams and estuaries. In addition, Shark’s Tooth has a clubhouse with a restaurant, bar and grill, a large dining room, locker rooms and four lighted Har-Tru hydrocourt tennis courts. Shark’s Tooth Golf Club is currently open only to members and inn/resort guests of WaterColor and WaterSound Beach, with additional limited access to JOE homeowners. Access to, and use of Shark’s Tooth Golf Club is not included in the purchase of homes or homesites and requires separate membership. Memberships at the Shark’s Tooth Golf Club are subject to application and approval and payment of applicable fees and dues. 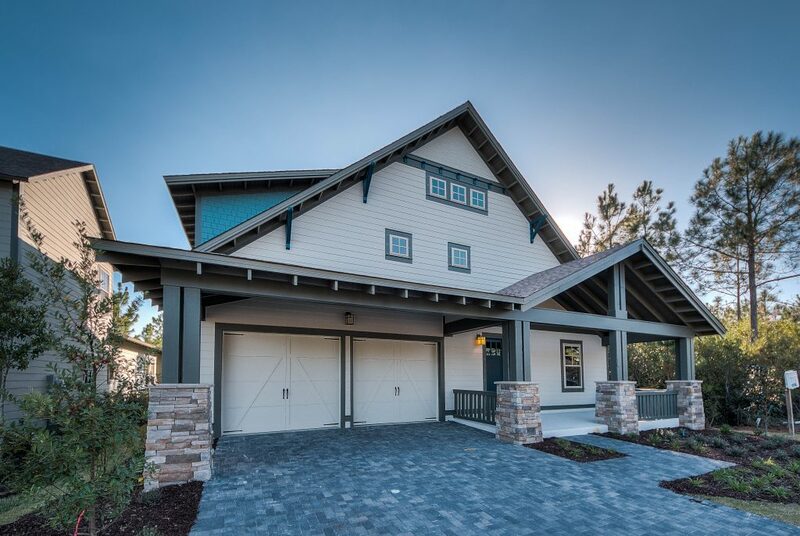 Lakewalk Bungalows is a charming neighborhood of 2, 3 and 4-bedroom homes built with coastal craftsmanship located in the heart of Wild Heron. Lakeside Lodge is an upscale condominium project with 61 lodge units situated on the banks of Lake Powell. Linkside is a 24-home neighborhood located directly adjacent to Shark’s Tooth Golf Clubhouse and offering easy access to the award-winning gold course and clubhouse. Naturewalk is another quaint neighborhood with craftsman style homes located near the driving range. Clubside and The Courts are both townhome communities with 2, 3 and 4 bedroom layouts and special amenities. Custom homes are also available to be built on a variety of sizable homesites including lakefront, golf course and preservation-facing properties.